Has your open door turned into a revolving door? Are employee complaints taking up valuable productivity time? Are you becoming more of a referee and less of a leader? Petty grievances, incompetence, and lack employee initiative affects productivity and compromises leadership effectiveness. Leading and managing others doesn’t have to be so difficult. The key to getting results through others is coaching to empowerment. Its not just the front line supervisors or middle managers who struggle: Directors, business unit managers and C-suite leaders often make the three most common mistakes: ignoring the problem, fixing the problem or blaming the employee for having a bad attitude. 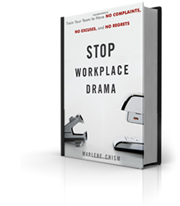 None of these coping mechanisms promote a healthy workplace culture or empower employee responsibility. In short, old habits are difficult to break. Without the necessary leadership development most leaders lack the critical communication skills required to shift the conversation and move employees forward. Both new leaders and seasoned leaders benefit from our Coaching to Empowerment program. 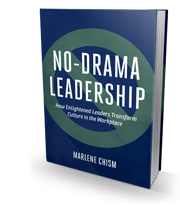 Marlene Chism, author of Stop Workplace Drama, and No-Drama Leadership offers a model and methodology to effectively coach employees to empowerment and create a culture of responsibility. 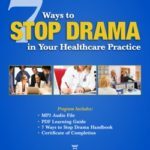 Ready to promote a culture of personal responsibility? Inquire about the Coaching to Empowerment program. Available as an on-site leadership retreat; conference breakout or general session. Email Marlene for more information or call 1.888.434.9085 to set up an exploration call.